We were at Dove Cottage, Grasmere, one of the early homes of William Wordsworth, a poet known worldwide, amongst his other works, for ‘Daffodils’. The Keswick lake nearby was what inspired him to write the poem. I had taken my parents, who love poetry and nature, to Lake District & the Dove Cottage tour of the famous man was on the list. After the tour of the cottage, my father’s first reaction was that while there were many who visit this place, not many know the birthplace of Kuvempu, a brilliant 20th century poet back home who lived in a equally picturesque place in the Western Ghats. 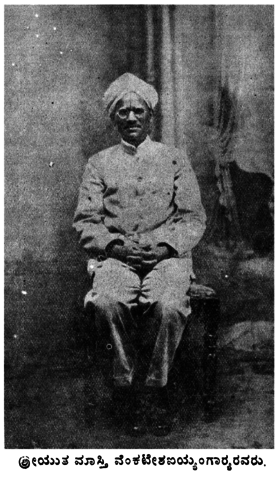 A time when English was taught in all public schools, he became a Kannada Poet (ironically advised by an Irish poet to write in his native language). He was awarded the country’s highest literary honour, Jnanpith Award for his magnum opus ‘Ramayana Darshanam’ – a poetic version of Ramayana. Through his creativity, one gets to know the native language’s depth and vastness. His poems strike a chord in our hearts and are part of every school child’s text book. His home in Tirthahalli is one of the most scenic places in Western Ghats. However back then, I was taken aback by the remark, as I had never thought of it or visited the place. Years later, we made a point of visiting Puttalli, his hometown, where the huge ancestral home stands and is now converted into a museum. Nature brings out the best in man I guess, as I have never seen such a perfect setting. His home is the land’s end, beyond which the forest tales over. A bus driver nearby told me that peacocks come out in the evenings on the street, especially when the visitors are gone. His home looks like a work of art. The laid back home offset with a huge garden is picturesque. The house has slanted tiled roof and is built in the traditional style with rooms all around and an open centre with a pit that drains the rain water. The kitchen looks like a century old with traditional pots (madike) & copper utensils (patre) some of which have disappeared from our modern kitchen homes. What I liked most however was the poems sung as songs as we entered the gallery that showcases his works. Poems like ‘O nanna chetana agu nee aniketana’ (O my soul, roam free, untethered) and ‘Bagilolu Kai Mugidu, Olage baa Yatrikane’ (Salute the home and come inside traveller), there were many others that were lovely to hear for the first time. Clutching a few of his books that I bought there, I walked out hoping to get a glimpse of the shy peacocks on the street. For those who cannot visit his home at Western Ghats, the flower show at Lalbagh, has his home as the theme this time.